By and large, when buying expensive headphones, many consumers in the US are choosing Beats due to the brand’s huge visibility in pop culture. Sound seems to be a secondary consideration — even though recent Beats products like the Solo 2 Wireless headphones have made big strides in audio quality. 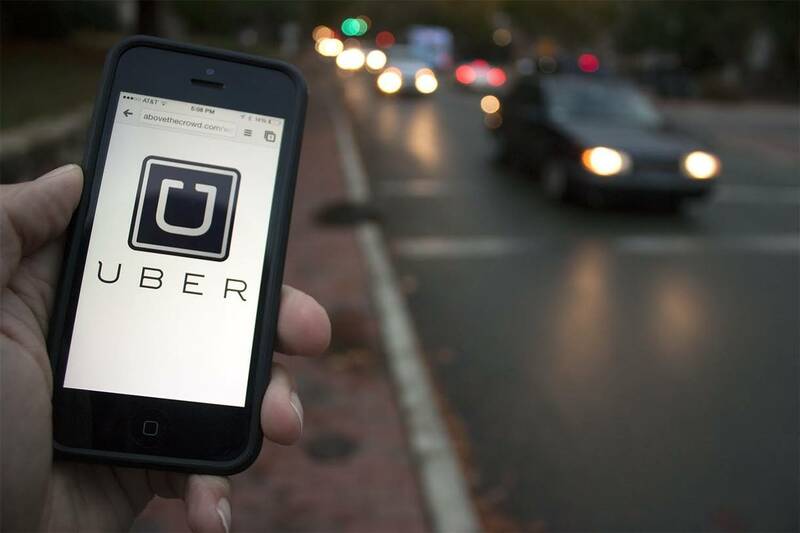 But rivals are still eager to chip away at Beats’ mindshare. 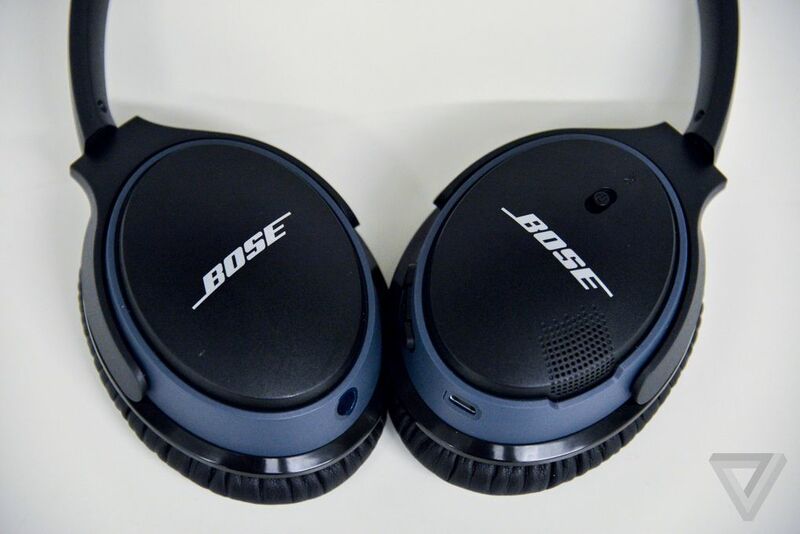 Today, Bose is announcing the Bose SoundLink II Headphones. Yes, the name is incredibly clunky, and these headphones definitely don’t come cheap; they’re priced at $279 and slot in above the $249 SoundLink on-ear headphones we’re pretty fond of. But after using them for a couple weeks, I’m pretty compelled to say that these Bluetooth headphones are worth the cost — if you’ve got the disposable income. 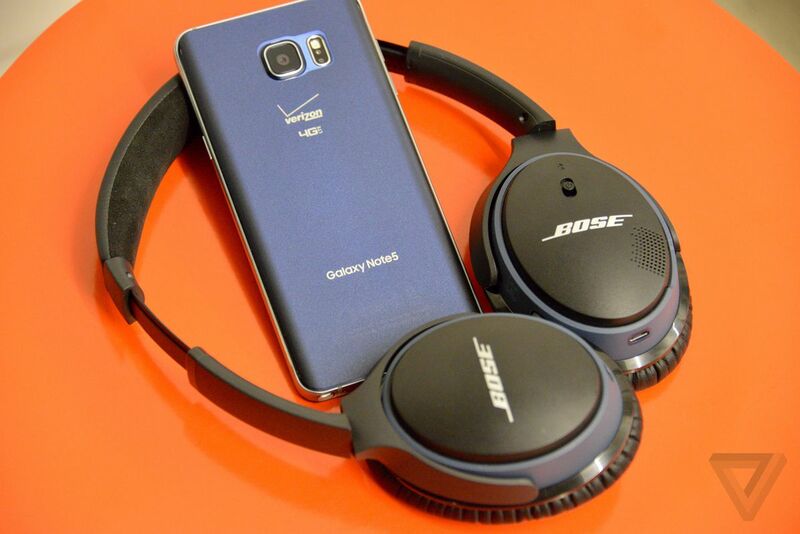 Like Beats, Bose isn’t necessarily a company known for putting out audiophile-grade headphones. 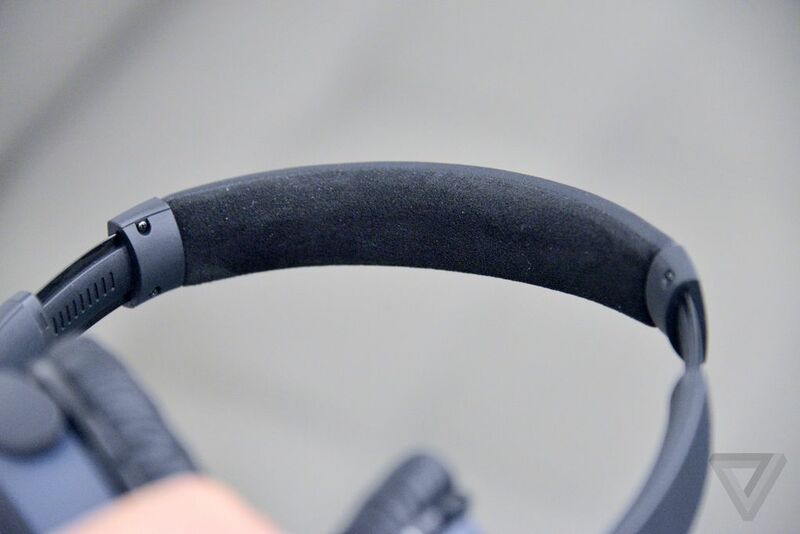 The company is widely renowned for its noise cancellation technology, and products like the QuietComfort line have become a lifeline for frequent travelers — especially flyers. But even if audio “experts” balk at Bose’s name, their products are generally well received among consumers. Just take a peek at Amazon, and you’ll find plenty of 4.5-star review averages to back that up. To most people, they sound just fine. They’re probably the lightest and most comfortable headphones I’ve worn. And that’s without feeling cheap. Bose uses plastic resins on the outside, but the SoundLink II wireless headphones also contain stainless steel components. 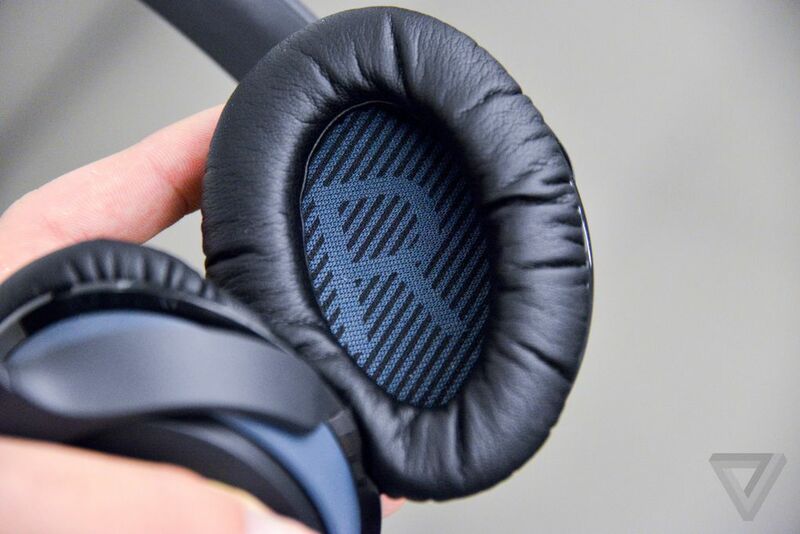 The ear pads are very cushy and create a nice seal. Even without active noise cancellation, the SoundLink IIs offer impressive noise isolation. You’ll know they’re there, but just barely — and I never got fatigued or uncomfortable through hours using them. My only real complaint is that while they fold flat, the headphones don’t fold in like my Beats (and countless others) do. 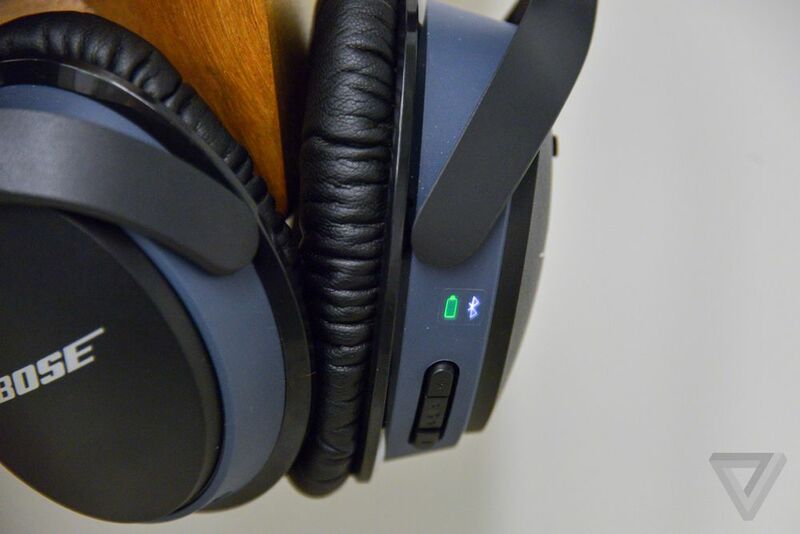 The headphones play your music over Bluetooth when in wireless mode (you can attach a cable if the battery dies) and can pair over NFC with Android phones. It took a bit of doing to find the sweet spot on my Galaxy Note 5, but once I did, setup was finished within seconds. You’ll hear voice prompts when pairing with or connecting to your devices. 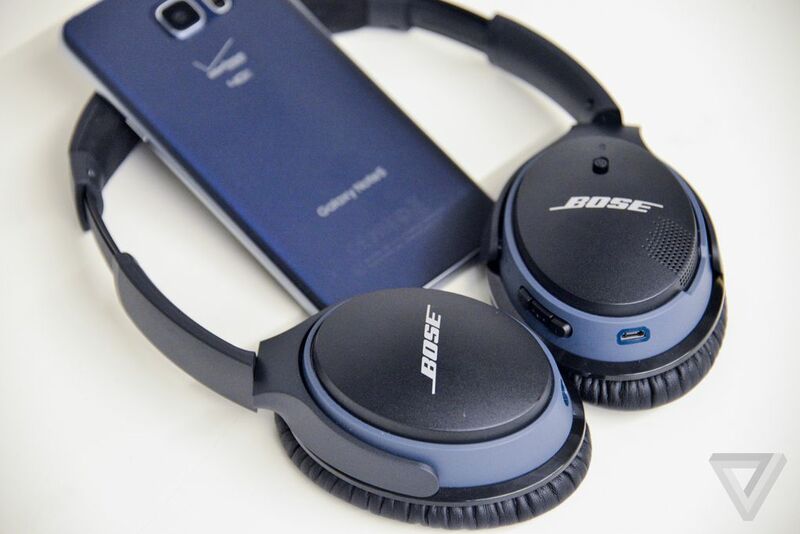 And the SoundLink Around-Ear Wireless Headphones II can conveniently connect to two playback devices simultaneously. Bose calls this multi-point, and although it’s not unique to these headphones, it’s a feature that plenty of competitors lack. Each time I turned them on, I’d hear a message confirming they were ready for music from both my MacBook Pro and Note 5 with no need to disconnect one device in favor of the other. The headphones can store up to eight playback devices in memory. Playback controls are found on the right earcup, and it’s also here where you’ll answer calls coming into your smartphone. The SoundLink IIs include a built-in mic with an adaptive voice system that automatically adjusts volume levels based on how loudly you’re speaking and what sort of surrounding conditions you’re in. It sounds a bit gimmicky, but I never got any complains about quality during the few calls I took while wearing them. Bose promises 15 hours of battery life, and while I haven’t yet put them through a full, continuous drain, they’ve been lasting just as long if not longer than my wireless Beats, which is to say it’s a factor you’ll rarely worry about. 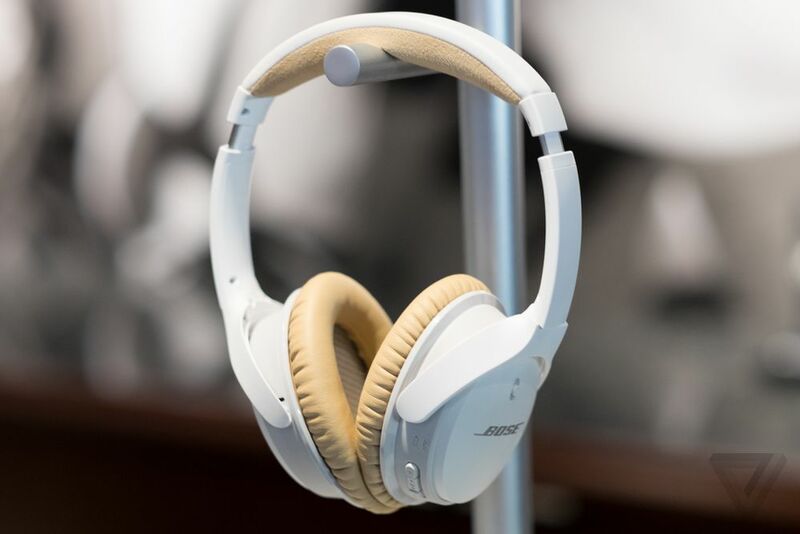 You’ll probably only have to charge them once per week with normal listening habits, and Bose says a 15-minute top-off will get you two hours of play time in a pinch. The SoundLink IIs alert you of current battery status each time you turn them on. YOU COULD DO BETTER, BUT ALSO WAY WORSE This isn’t a full review of Bose’s latest consumer-aimed headphones, but it is a hearty recommendation if you’re shopping in the $300 neighborhood. Can you do better if concentrating purely on the sound experience? Almost certainly. If you’re used to booming bass, the audio performance here may fall a bit flat — but Bose says it designed the SoundLink IIs to be accurate above all else. The other pluses like unrivaled comfort, simultaneous Bluetooth support with two devices, and strong battery life make this a pretty compelling package. 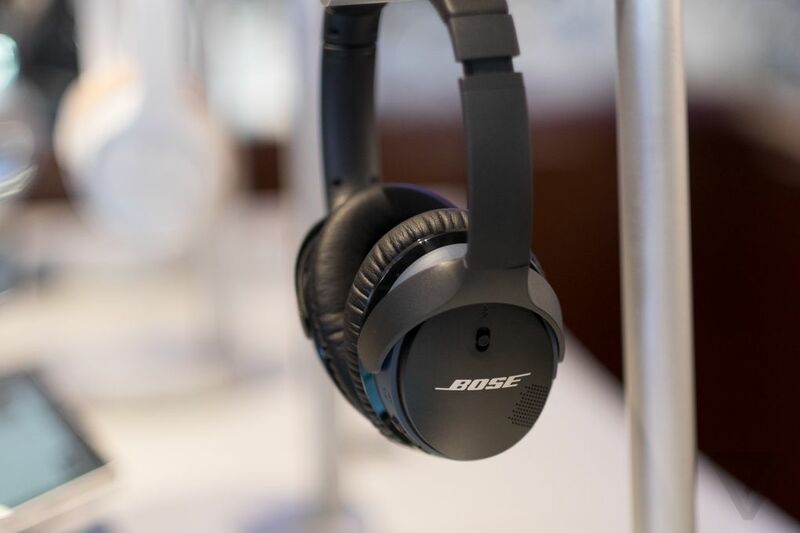 We’d probably steer clear of the white one, and even the black model looks a bit ’90s in terms of styling aesthetic, but if you’re buying for fashion, you’re probably not looking at Bose anyway. As all-around, everyday headphones for your smartphone, they do a fine job. And for $279, they’d better accomplish that. If you’re not immediately put off by the brand, you can preorder the SoundLink Around-Ear Wireless Headphones II starting today. If nothing else, give them a glance before choosing Beats by default.